Crescent City Meats of Metairie, La., is recalling approximately 430 pounds of Ready-to-Eat (RTE) Tasso Cajun Spicy Ham which may be underprocessed. 5-lb vacuum packs that were shipped in 10-lb. 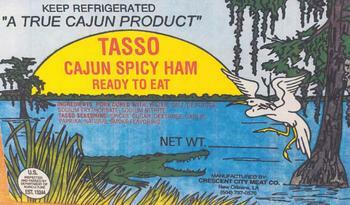 cases with the product labeled “TASSO CAJUN SPICY HAM READY TO EAT” containing lot codes 1631317, 1635517, and 1635217 or 35217. The recalled product, bearing establishment number “Est. 13244” inside the USDA mark of inspection, was distributed for institutional use in the New Orleans metropolitan area. Consumers with questions about the recall may contact Gerard B. Hanford at (504) 737-0570.